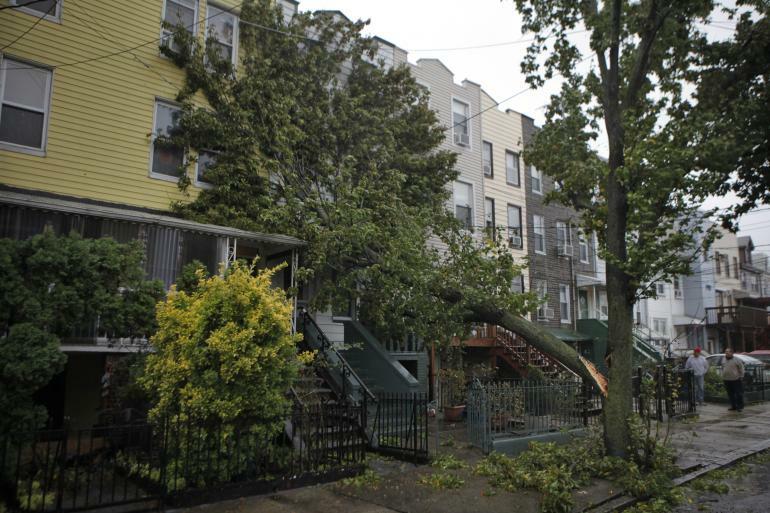 Hurricane Sandy: Buried Adjuster Report Raises New Fraud Allegations Against FEMA Flood Insurance Program | Denis G. Kelly & Associates, P.C. Humphrey Uddoh wrote a letter to a federal judge in New Jersey last month about two insurance adjusters who appeared at his Jersey City home after Superstorm Sandy in 2012 — one a welcome guest, the other quite suspicious. The first man, Uddoh says, assessed that the home had sustained flood damage totaling at least $80,000. The second man, Uddoh says, showed up under false pretenses, but eventually admitted the true nature of the visit: An insurance company had dispatched him to “undercut” the initial estimate. Incensed, Uddoh threatened to call the police. He then watched the man “scatter like a vermin,” almost knocking over one of Uddoh’s neighbors on the sidewalk before he jumped into an SUV and peeled away. The mysterious visitor “put the ‘pedal to the metal’ and screeched out of his parking spot so fast that he left burned black tire marks behind,” according to the 187-page document Uddoh filed with a federal district court in New Jersey early February. The letter has won Uddoh a new hearing in a case that illustrates deeper problems within the Federal Emergency Management Agency’s embattled National Flood Insurance Program, already reeling from allegations of widespread fraud. Uddoh said he now has evidence that a common document was first wrongfully altered and then kept hidden by his insurance carrier and a powerful private law firm that has served FEMA for decades. The document that Uddoh unearthed — an adjuster’s report — is the cornerstone of nearly every insurance claim. Thousands more people are at risk of having received manipulated adjusters’ reports, and reduced claims payments, attorneys say. “If that part of the process is manipulated, altered, or tainted, the entire process is manipulated, altered and tainted,” said Uddoh’s lawyer, Mitchell B. Shpelfogel. Both Uddoh’s insurance carrier, Selective Insurance Co. of America, and one of its attorneys from the firm Nielsen, Carter & Treas LLC declined to comment for this story, citing the pending litigation. A lawyer for the adjusting firm, CNC Catastrophe & National Claims, also declined to comment, citing a judge’s dismissal of the company’s involvement in the case. The firm reached a settlement agreement with Uddoh in January. Questions about adjusters’ reports add another dimension to the public outcry over engineering reports. Allegations that insurers used altered engineering reports while handling Sandy claims sparked an ongoing criminal investigation in New York, prompted mass-settlement negotiations between FEMA and attorneys for homeowners, and this week fueled a demand for congressional oversight hearings. FEMA administers the program that provides flood insurance to 5.3 million policyholders. It functions in partnership with private insurance companies that issue payments to homeowners with federal dollars, and, in turn, earn fees for selling policies and handling claims. Cleanup efforts within the agency are under way. FEMA’s recent settlement negotiations have centered on about 2,000 cases in New York and New Jersey courts. Yet the U.S. senators from those states have continued to voice concerns that not all evidence of potential fraud has been revealed and that more homeowners are entitled to payouts — leading to a breakthrough development this week. Sen. Robert Menendez, D-N.J., announced Wednesday night new commitments from FEMA’s lead negotiator, Brad J. Kieserman, its deputy associate administrator for insurance, on individual claims and programmatic reforms. Kieserman agreed FEMA will review all claims of lowball payments “due to fraud or bad practices,” even if the homeowners involved did not file lawsuits. Kieserman also said FEMA will make available “all iterations of engineering reports,” according to the announcement. Still, attorneys are moving quickly to obtain and review a new set of documents: adjusters’ reports. The Merlin Law Group, representing clients in more than 300 pending Sandy flood-insurance lawsuits, is in the process of serving subpoenas to the independent adjusters and the adjusting firms that are contracted by insurance carriers. “We want the draft copies of the estimates, and email exchanges between them and the carriers,” said lawyer Charles R. Mathis IV. If those estimates were pared down by insurance carriers and if homeowners “were paid a small percentage of what they should have been, then they were absolutely harmed,” Mathis said. 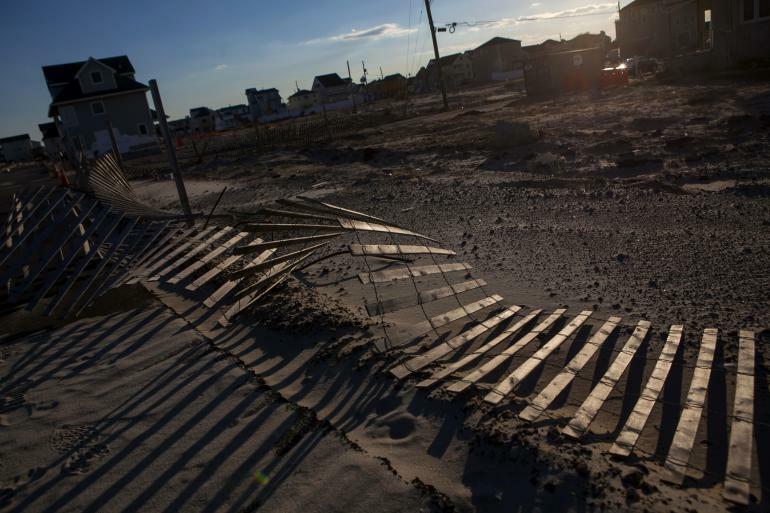 FEMA paid more than 135,000 insurance claims after Sandy, a total of more than $8.1 billion. Among those claims, 90 percent had adjusters’ reports. In contrast, between 10 percent and 13 percent had engineering reports, according to Texas-based attorney J. Steve Mostyn, who is negotiating the settlement framework with FEMA on behalf of homeowners. Mostyn represents the homeowners in the case that first brought “secretly” rewritten engineering reportsto light, Raimey v. Wright National Flood Insurance. He has now agreed to represent Humphrey Uddoh, as well. “I believe there’s going to be a much larger second group that has to do with manipulated adjuster reports, in some cases fraudulent,” Mostyn said. Uddoh said the evidence he now has shows Selective fraudulently reduced his claim from the $80,000 the original adjuster set aside. The final estimate he was issued back in 2012 totaled $334. The new report he obtained shows an estimate of $16,170. Shpelfogel said he believes even the newly uncovered version was altered, and that repairs to Uddoh’s home — which he hasn’t been able to complete — could ultimately top $150,000. What’s more is that Selective maintained that no other version existed, Shpelfogel said. Despite spending nearly two years in litigation with Selective and CNC, Uddoh managed to obtain the new copy only when he settled part of the case with CNC in January. “The continued lies and cover-ups is why we’re still in litigation,” Shpelfogel said. Until last month, Uddoh, a lawyer by trade, represented himself in the lawsuit. He was up against a law firm — Nielsen, Carter & Treas — that has a long history with FEMA. Partner Gerald Nielsen has represented National Flood Insurance Program carriers since 1988. He is a noted speaker on the workings of the NFIP, and a fixture at the National Flood Conference, an annual gathering of executives from insurance companies, banks, adjusting firms and engineering firms. FEMA pays the legal bills for defense attorneys when homeowners sue on their flood-insurance claims. Nielsen’s comments about how much defense lawyers would earn from Sandy litigation have drawn heightened scrutiny. Last June, he predicted that defense fees from Sandy were “likely to exceed the total costs” from the previous 20 years combined, reaching $100 million. In December, the two U.S. senators in New York requested that the Government Accountability Office audit the flood-insurance program’s legal fees, quoting directly from Nielsen’s statements in the federal court for the Eastern District of New York. In mid-February, FEMA confirmed it had so far spent $12.4 million on outside attorneys for Sandy lawsuits. Shpelfogel and Mostyn argued that they see another troubling pattern: In several cases involving allegations of manipulated damage reports, as well as evidence that has not been produced in litigation, the Nielsen firm is a “common denominator,” Shpelfogel said. Gerald Nielsen did not respond to requests for comment. In the Raimey v. Wright case, U.S. Magistrate Judge Gary R. Brown found in November the altered engineering report was “concealed by design” from the homeowners and that Wright’s counsel “violated its obligations” to turn over evidence. In that same order, Brown sanctioned Wright’s attorneys, which included lawyers from the Nielsen firm. Shpelfogel and Mostyn are suing Nielsen, Carter & Treas in a class-action racketeering suit, alleging the firm took part in a scheme to reduce flood-insurance payments, based on altered engineering reports. Uddoh filed suit against Selective and CNC in April 2013, and attempted to subpoena documents from the original adjuster — an outside contractor who was not an employee of the adjusting firm. In a previous conversation with Uddoh, this adjuster “spoke of the pressure that CNC was subjecting him to” and “stated his directive by CNC and Selective to lower his $80,000 damage award,” according to Uddoh’s court filing. An attorney with Nielsen, Carter & Treas intervened in that subpoena attempt. Court documents show that lawyer Kristie Mouney emailed Daniel Jules April 11, 2013, “instructing that you not provide any response to” Uddoh’s subpoena. Looking back, Mostyn said, “Uddoh had to fight very, very hard to get his documents.” A hearing on evidence in the case is scheduled for May 18.